It may not be the first destination to come to mind for a quick outdoor getaway, but it’s a fact that Michigan has many stunning campgrounds. As we continue into spring and begin to head towards summer, escape the hustle and bustle and spend some quality time with friends and family. Develop a newfound appreciation for nature at some of southeast Michigan’s most scenic camping destinations. 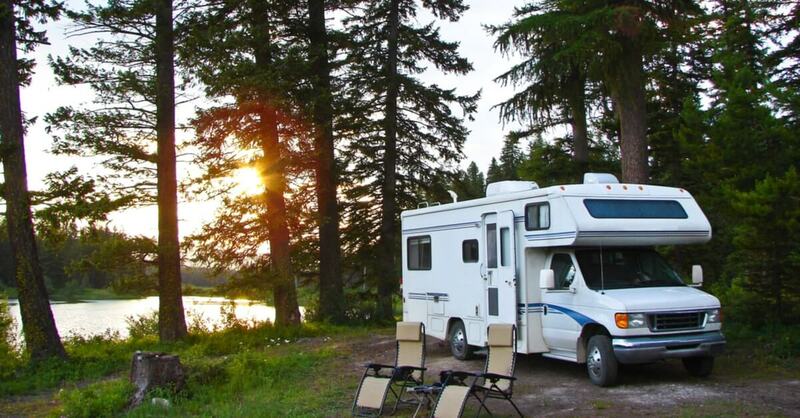 Before you head out on your trip, however, if you’re planning on taking an RV, make sure to protect yourself with RV insurance. You don’t want anything to spoil your trip! These comfortable grounds are only an hour from Detroit, and they boast a pool, fishing pond, mini golf, and free wagon rides. You decide whether you want to camp in a tent or bring your RV, with full RV hook-ups provided should you choose not to bring your own. Will you be traveling with your family? This is a great place for kids to run around and socialize while enjoying the outdoors. This RV park has modern restrooms and showers, making it a great place to stop at while on a road trip or hang out for a few rest days. There is a sandy beach by the huge lake where you can fish, swim, or play basketball, horseshoes, or volleyball. Shopping, fishing, and horseback riding are also available near the grounds. This is another great spot for families. Hayrides and volleyball are available at Ja Do, but that’s not the only feature. They have a quirk of hidden leprechauns throughout the area for you and your family to find! The campground is well-rated and a unique experience that not only leprechaun-lovers will enjoy. Many adventures and activities are near the grounds such as golf, jet and water skiing, and the Michigan International Speedway. This is a great park to relax at the beach, and there is also playground equipment for the kids. Fishing or horseshoes can be enjoyed. Active people can run around with their pets, swim, or slide on the 90’ waterslide! This campground also features a fully stocked store, so you’ll be comfortable and never in need of supplies. This campground is known to bring a friendly and beautiful experience. Enjoy the rec room of games like foosball, air hockey, and pool. Weekends normally have events for to partake in. Campers can fish, swim, or play sports. There is also Wi-Fi for those interested in staying connected with friends while away. You can stay in a tent, RV, or cabin. There are clean bathrooms and lots of picnic space to enjoy. This campground has beautiful grounds with a pool and rec hall. The modern bath and shower area and laundry room provide comfort you may be seeking while you’re away from home. There are lots of trees for shade, picnic tables, and fire rings. You may choose between sites with or without electric and water hookups. Nearby attractions include an illuminated waterfall, museums, and golfing. This campground’s amenities include sports, fishing, and swimming. Each site has fire rings and picnic tables. Sites have electricity hookups available. Camp Sequoia is accommodating to both young and old children. There are planned family activities such as relay races, movie nights, and craft time. This site is great for family bonding!